Francis Bacon, Painting 1946, 1946 © The Estate of Francis Bacon. All rights reserved. DACS 2018. 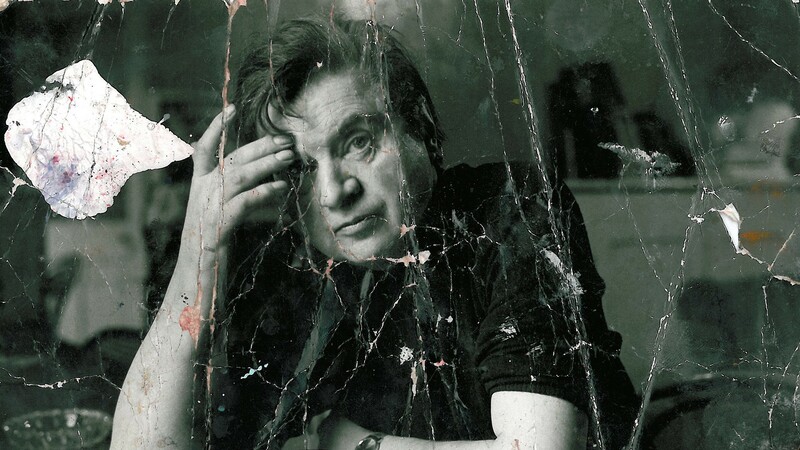 The aim of this website is to provide an ever-expanding fund of information on Francis Bacon’s art and life. 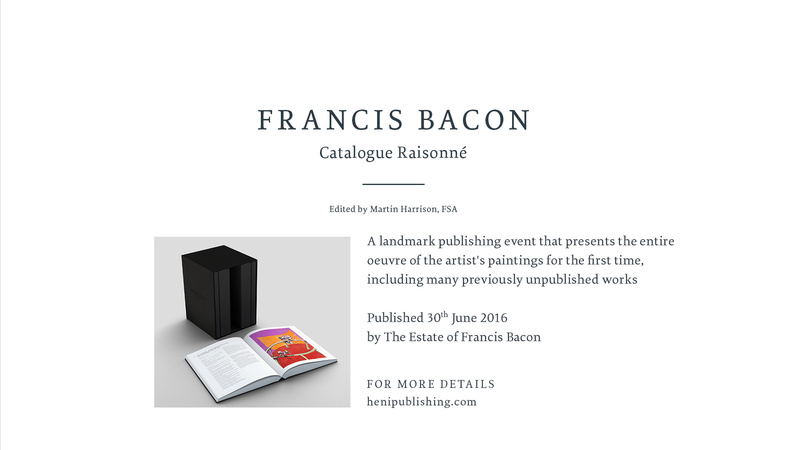 As of November 2017, this website now contains reference images and information on all 584 numbered works published in Francis Bacon: Catalogue Raisonné, 2016, including the exhibition history of each painting. The paintings can be viewed by decade or freely searched. At the same time as publishing Bacon’s paintings, new content has been added to the following sections: Biography; Talks, Lectures & Symposia; Studio - Reece Mews; and Family, Friends & Sitters. 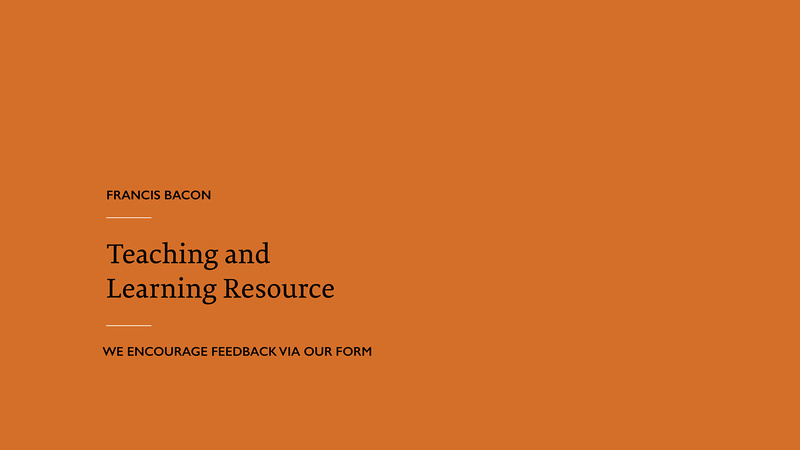 This site has been created and is maintained by The Estate of Francis Bacon, with the assistance of Joe Hage and HENI. 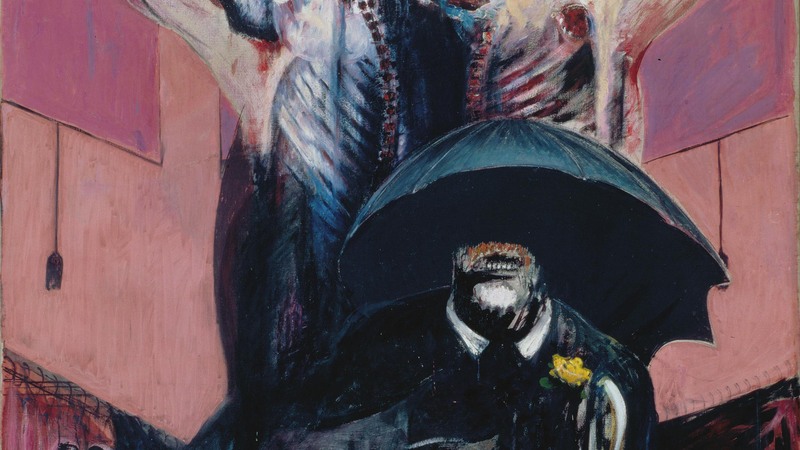 For up-to-the-minute updates and discussions on Francis Bacon, join us on Facebook, Twitter and Instagram. For monthly round-ups, please subscribe to our free email newsletter.